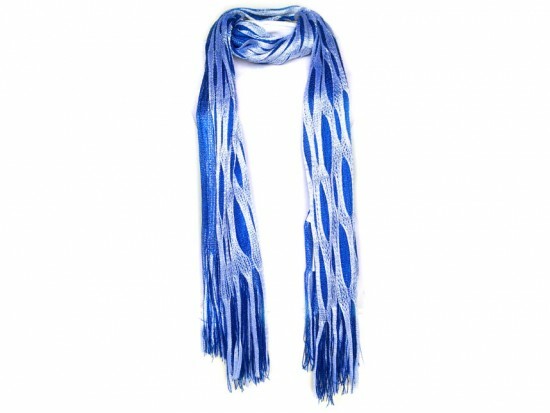 Blue White Open Cut Shimmer Oblong Scarf. Size: 21 inches wide, 78 inches long. Polyester material.